The principal images are different depending on your birth year. What is your the principal Buddhism image? Let’s check it. If your birth year is 1980, your twelve zodiacal sign is Monkey. That’s why your the principal Buddhism image is Dainichi-Nyorai. 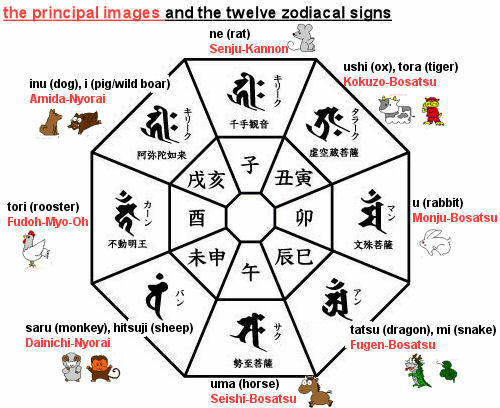 The twelve zodiacal signs are originally Chinese culture. However this culture spread to East Asian countries with the times, and mixed with Buddhism. In Japan, this is popular thing (except Jodo Shinshu school). ← Elephant is the sign of happiness.